What sport had a 72-year old Olympic gold medallist in 1920? And a 15-year old European Games gold medallist in 2015? Did you guess it was shooting? Who said sport needs to be running, jumping and throwing? Well shooting improves other skills you might be interested in developing. 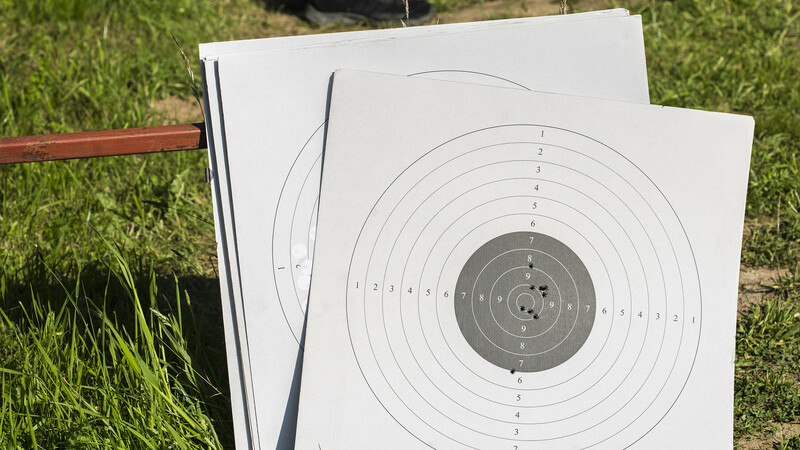 Whether you’re interested in shotgun, pistol, or rifle, shooting is a great sport for training your concentration, discipline and hand-eye coordination. With rifle and pistol, you’ll be aiming at targets from a set distance. If you fancy trying to hit moving clay targets, shotgun’s more likely to be your thing. Best of all, shooting’s a sport where you can compete against anybody – no matter their age, so it’s a great way to give something a go with a group of entirely different people. Sounds good, right? It’s different to more or less any other sport out there, and a great way to meet a range of different people, you never know, you might be the next European Games gold medallist? Just yourself and maybe something you’re comfortable wearing outdoors. It’s worth checking with the person looking after your club whether you need to bring anything particular along with you. British Shooting look after shooting sports across the country.